One of the most controversial building projects in Russia in recent years is Skolkovo, an “Innovation Centre” just outside of Moscow. The Russian Pavilion at the Venice Architecture Biennale presented it as the successor to the other science cities built in the USSR, whose rather staid modern architecture was contrasted with the possibilities of Skolkovo, which has been masterplanned by engineering firm Arup as a “Russian Silicon Valley”. Actually, the outskirts of Moscow already has one of these: Zelenograd, built in the Seventies, is an exact contemporary and equivalent of those mostly state-funded and state-sponsored tech utopias in California. And in Siberia there's Akademgorodok, built in the Sixties just outside Novosobirsk; it was recently the subject of Francis Spufford's well-received novel of Soviet science and economics, Red Plenty. There is, however, a big difference between Silicon Valley and that these Soviet cities of the Sixties and Seventies: the latter were almost all closed cities, which you would need a permit to enter. They certainly weren't open to foreigners. 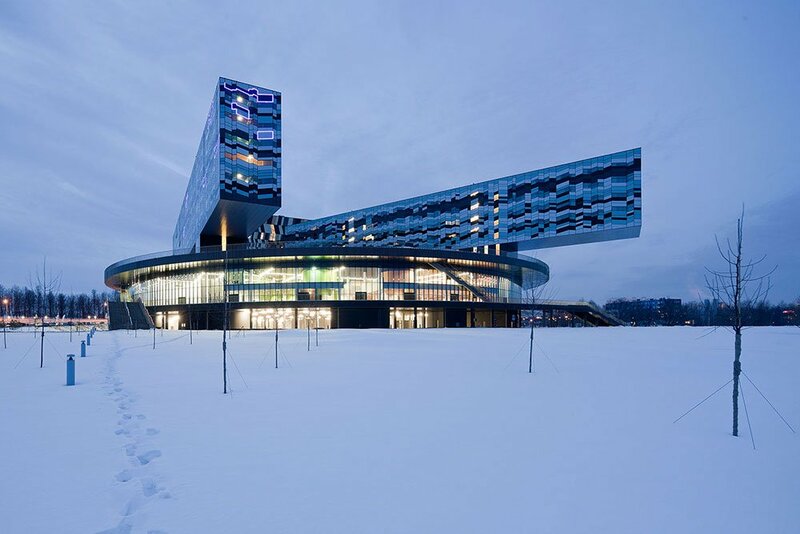 Skolkovo, by contrast, presents itself as entirely open, and is even largely designed by foreign architects. 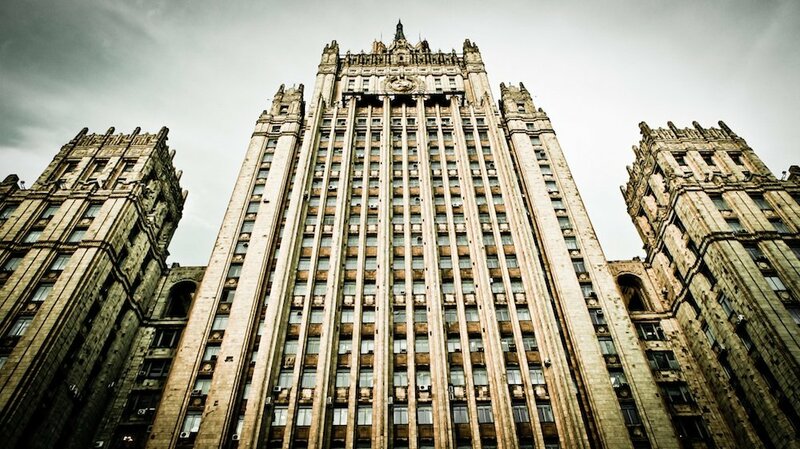 It is part of the governmental commission offered to the Office for Metropolitan Architecture to double the size of Moscow. 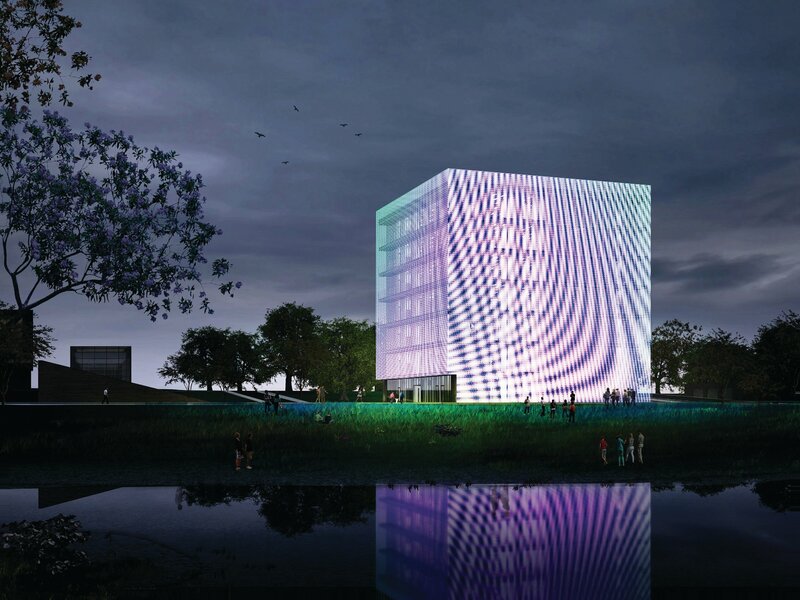 In fact, the only large-scale building constructed in Skolkovo is by another British architect, David Adjaye. 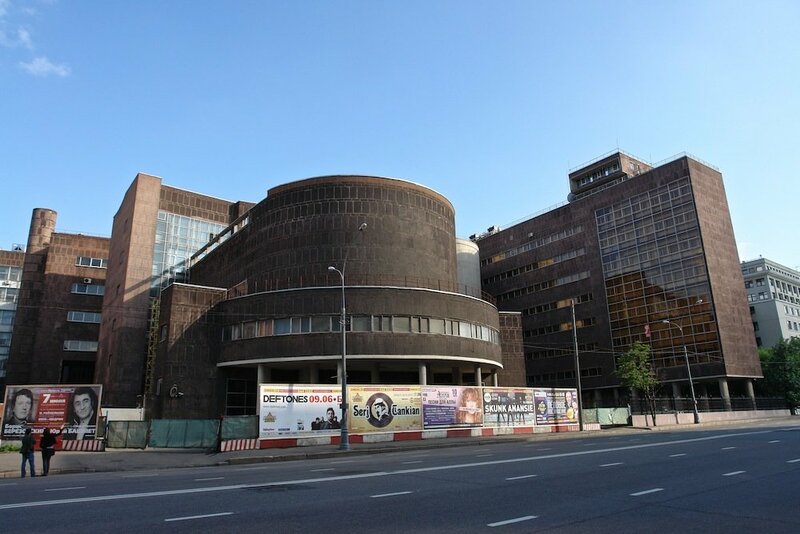 It’s a School of Management (its motto: “Helping successful people become more successful”), splayed out across a wide, empty site and detailed in patterns which reference Russian avant-garde painting. But this too is not new: neither the planning of new and “western” towns, nor the hiring of famous international architects to design them. As the fate of Skolkovo — much of which remains unbuilt — seems uncertain, it is interesting to remember that its predecessors, these previous “windows on the west” often become something quite unexpected. 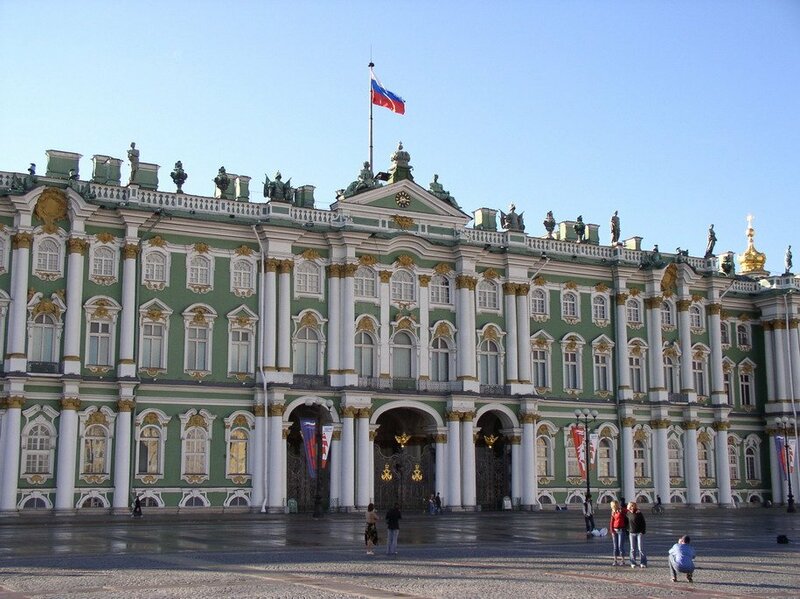 The most famous is, of course, St Petersburg, which was an international project from the outset. Although at first Peter the Great was enthused by Amsterdam, its relative Protestant restraint was not to be Peter’s model for his city. 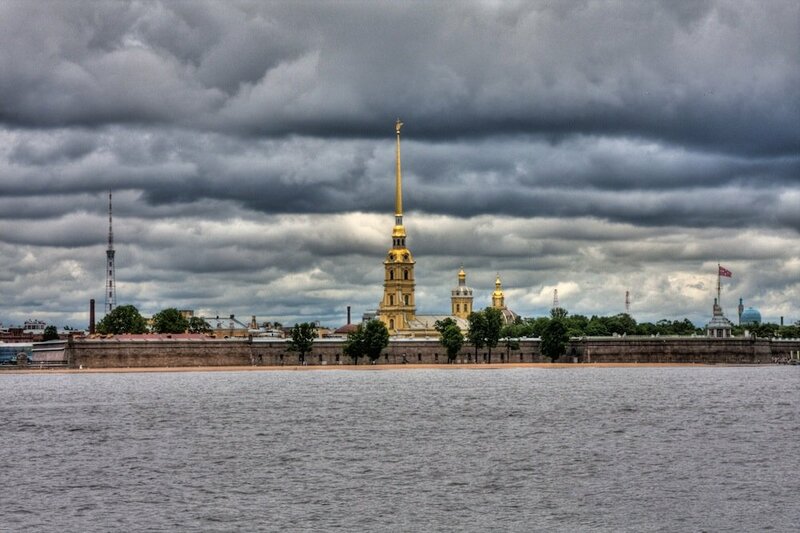 The first plan was drawn up by the Swiss-Italian Domenico Trezzini, who designed the Peter and Paul Fortress; and the city as it exists today follows the plan of the German military engineer Count Burkhard Christophe von Münnich. Its designers were trained in the Counter-Reformation, which had produced a Baroque planning that was based on vistas, symmetry, a new profligacy and investigation of sheer space. In the likes of Francesco Rastrelli's Winter Palace or Carlo Rossi's later neoclassical General Staff, you can see those ideas being stretched further than ever before, with a new exploration of almost endless horizontal façades. 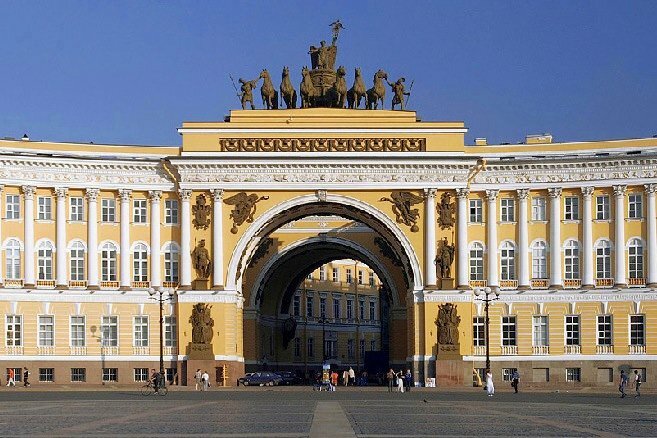 The resultant grandeur has often been considered “western”, and hence enlightened, but the inspiration was from absolutist monarchies and these buildings inherit their deep authoritarianism. For a century and a half, this strip of marsh annexed from Sweden became a sort of 18th-century Dubai — designed by stars, built by serfs. The other famous tale — and unfortunately it is a tale, with little basis in fact — involved fooling foreign visitors (specifically the Emperor of Austria, a guest of Catherine the Great) by showing them the glorious facades of non-existent towns along a river cruise — “Potemkin villages”, as they were known, after the prince who pioneered them. Like a lot of tall stories, it spread because it sounded like the sort of thing the government might have done if it had the gall, rather than what it actually did. Although well into the second half of the 19th century the prestige building projects of the capital were entrusted to (often naturalised) Italians — as they were in Moscow, Kiev, and annexed imperial cities like Tallinn and Warsaw — it wasn't until the turn of the Thirties that “specialists” from outside would again find themselves designing entire towns. 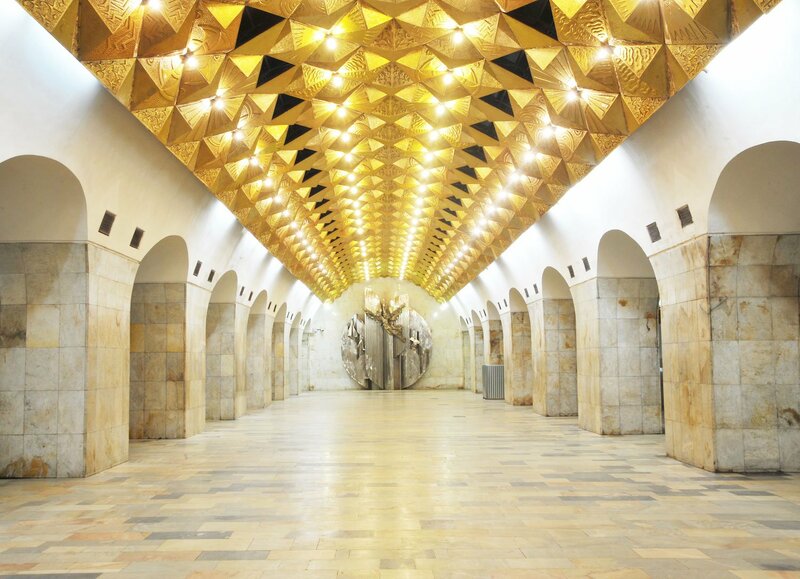 The most famous of these is Magnitogorsk, immortalised in historian Stephen Kotkin's superb Magnetic Mountain, which used the city to tell the story of “Stalinism as a civilisation”. Magnitogorsk was originally planned by the German architect Ernst May, who had designed thousands of low-cost, high-quality council houses in planned suburbs across Frankfurt, all in a clipped, colourful modernist style. 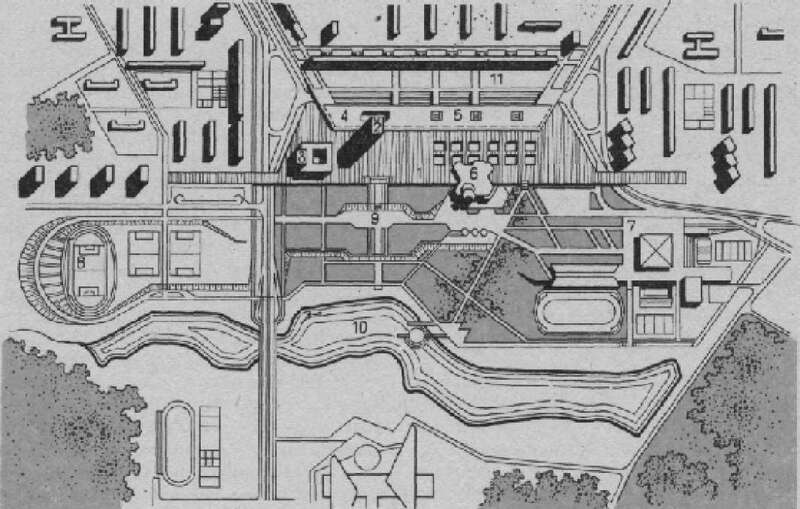 After the far too flamboyantly utopian plans of Soviet architects like Ivan Leonidov and Nikolai Ladovsky were rejected, May, along with more than a dozen other German, French and Dutch modernists was hired to design 20 new industrial cities: plans were drawn up for, among others, Orsk, Novokuznetsk, Kemerovo. A staggering roll-call of modernists worked in Russia in the early Thirties (see sidebar). They included Le Corbusier, whose largest building yet, for Tsentrosoyuz, the union of co-operatives, went up in Moscow in 1933. In 1931 the Palace of the Soviets competition featured entries from practically every major architect on the globe, and picked as its co-winner a design by Hector Hamilton, an Anglo-American architect otherwise lost to history, save for a small parade of shops in Woolwich. The town planners and architects imagined that here they could do what they couldn't under capitalism — create a new kind of city, without hierarchy and interspersed with green space and collective facilities. Despite this, most of their actual ideas were rejected, as the Soviet Union turned sharply towards nationalism and autarchy. Stalin's man on town planning matters, Lazar Kaganovich, preferred a slightly older European idea — the town planning of Baron Haussmann, featuring wide tree-lined boulevards ornamented with grand historicist tenements. Ultimately, many of the visiting modernists considered themselves lucky to have escaped the Soviet Union with their lives. As paranoid hostility mounted between the Soviet Union and Hitler’s Germany in the Thirties, German specialists living in Russia were murdered en masse. When the Soviet Union tried again with planned new-build science cities in the Sixties and Seventies, in places like Zelenograd, modernism remained the preferred style, and these projects were “western” insofar as Khrushchev had imported the French Camus prefabrication method to plan new suburbs and “microrayons”. 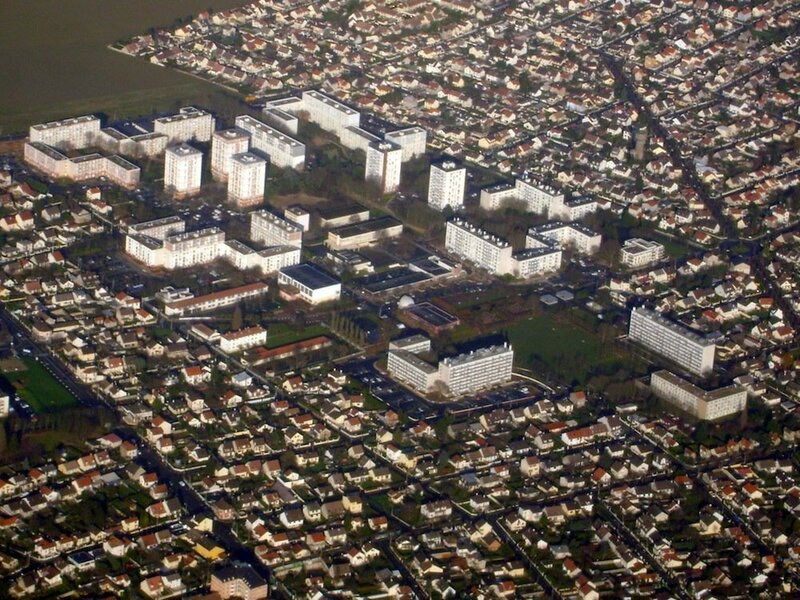 There is a reason why people call the Paris banlieue “Soviet”, but they’ve got their history the wrong way round. 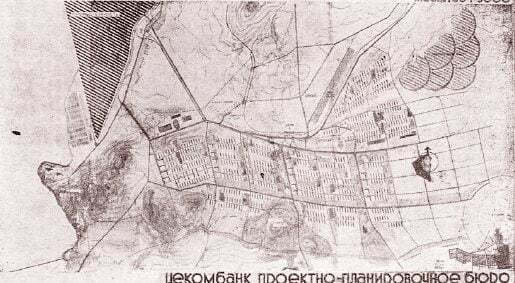 In the meantime, a Soviet idea went global — the “linear city” proposed by Nikolai Milyutin for Magnitogorsk. Milyutin's idea, in which industrial towns are organised as continuous separated strips of housing, public buildings and industry, interconnected by transport networks, can be seen in the dozens of new towns and suburbs from Baghdad to Islamabad designed by his Greek follower Constantinos Doxiadis. Architects and planners have long treated the vast Russian expanse as a place to project their dreams. In the 18th century they often managed to realise them; rather less so in the Thirties. In both periods, the foundations were dodgy. And that hasn’t changed. The private-public partnership that runs Skolkovo has been accused in court of misusing state funds, and its offices were raided by police earlier this year. Even as an architectural project, the portents are not good. Arup's Chinese forefather to Skolkovo, Dongtan, was never built. The recent history Russian architecture is full of projects that are won by famous designers and emerge in a very different form: the most shocking recent example is Dominique Perrault's Mariinsky Theatre, which morphed post-competition into a series of stone-clad cubes that look like they could be in Leeds. Whatever happens in Skolkovo, you can be sure it will not look like the masterplan.